Every individual is unique in all aspect; different in characteristics, attitudes, and features. The same goes for dental health conditions; different oral needs require personalized dental treatment. Dental issues such as missing teeth are addressed with different treatment options available. Here at Rock Point Family Dentistry, we offer Restorative treatments to help patients keep their mouth and gums healthy as well as bring back the function of their teeth. Restorative Dentistry includes a variety of dental options to replace missing teeth and prevent tooth loss. The dentist at Rock Point Family Dentistry will suggest a restorative option for patients that will best suit their needs; It can be with the use of Dentures, Dental Implants, or Implant Restorations. Improves Oral Health. Treatment options restore the teeth, replaces severely decayed or missing teeth and prevent the complication of dental issues to arise. After appropriate procedures are done, the teeth will be healthier, stronger and will be more durable. Restore the Aesthetics. The goal of restorative dentistry is not limited to the improvement of oral health. An implied result of teeth restoration is an enhanced look which increases self-confidence and self-esteem of the patients by having teeth replacements. Improve the function of the Teeth. Missing one or multiple teeth limit the functionality of the mouth. With restorative treatments, missing teeth are replaced so that the teeth and mouth can function better, making activities like eating, speaking, and chewing a lot easier. Support oral structures. Missing teeth leaves an open space which let bacteria penetrate through and cause infections. Spaces created by lost or missing teeth can make other teeth to shift their position. Restorative options provide the support needed to maintain the remaining oral and facial structures intact. Prevent dental complications. 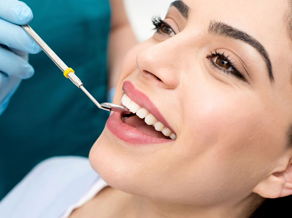 Restorative dentistry encompasses several dental treatment procedures. Through these treatments, progressing dental health issues will be determined and prevented before it will develop to a dental problem. For more information, other options for effective Restorative Treatments in Cedar Park, be sure to contact Rock Point Family Dentistry. Our entire team looks forward to meeting you in person and helping you achieve the best possible dental health results. We are located at 115 S Lakeline Blvd #200, Cedar Park, TX 78613.